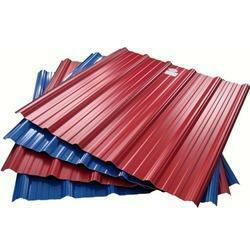 Our product range includes a wide range of clip-on roofing sheet, trapezoidal profile sheets, essar roofing sheets, kamdhenu hi rib roofing sheets, kamdhenu steel roofing sheet and color coated galvanized roofing sheets. 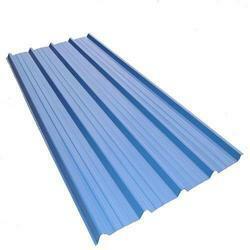 We have gained appreciation in the markets for manufacturing the high quality range of Clip-on Roofing sheets. This product range exemplifies the expert workmanship of our efficient team personnel. 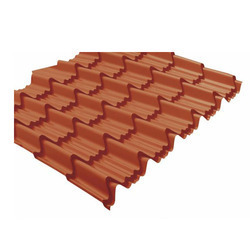 Sturdily constructed, these products are ideal for long length roof . These products are highly demanded in the industry for several purposes. 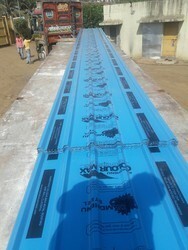 Our professionals make sure to manufacture these products as per the specifications given by the clients. 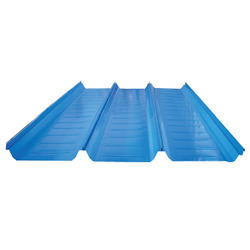 We are a leading manufacturer of Trapezoidal Profile Sheets. Packaging Details: Packing charges will be extra. Color Available: Blue, Green, Red etc. 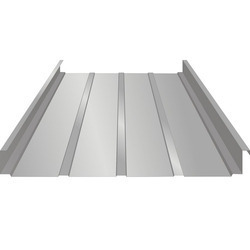 We are engaged in manufacturing and supplying an innovative range of Clip Lock Profile Sheets. We are a well established firm engaged in supplying a wide range of Color Coated Profile Sheet to our clients. Manufactured using finest quality raw material, these are thoroughly tested for any flaws. 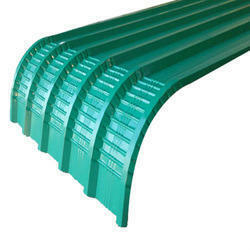 These are widely used in various industries and are highly appreciated by customers. 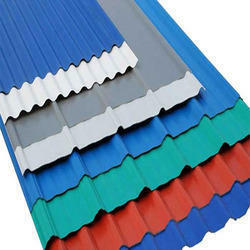 Our product range comprises Galvalume Profile Sheets, Galvanized Coated Profile Sheet and Color Coated Galvalume Sheets. 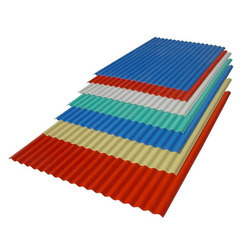 We have emerged as a reckoned manufacturer, supplier and exporter of world-class Roofing Sheets. Manufactured in compliance with international quality standards, our range is highly acclaimed by clients. We can offer these sheets to clients in varying models and sizes. 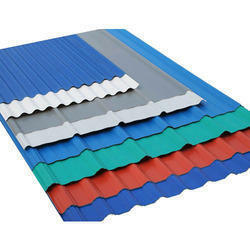 These sheets can be easily installed to any conventional sheet fixing. 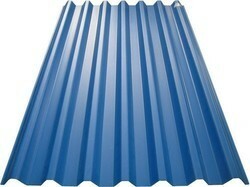 Klip Lock Profile Sheet is designed using best grade materials and is offered in various sizes, dimensions and designs. These products from our side finds usage in both domestic as well as commercial sectors such as offices and houses. Owing to easy and swift installation, these are precision fabricated and design/finish exactly as demanded by the customers. On-time delivery is something that is always a must on our list. Backed by a team of dexterous & diligent professionals and experts, we are able to manufacture and supply a broad range of Profile Sheets. Our experts make use of the best quality raw material that are sourced from the authentic vendors for the manufacturing of these sheets. Our offered range is flawless, experts ensure this by conducting a quality test by making use of modern machinery and latest technology installed at our infrastructure. 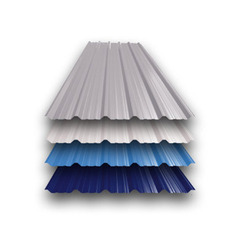 Roof And Wall Cladding from the most attractive feature of our metal building and available in a variety of profiles and colors. 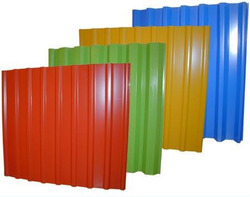 Our cladding is flexibly deployed to cover roof and wall panels, interior roof and wall liners, partition panels,etc. Color coating: t/c 18-20 micron rmp or smp over 5 micron epoxy prime. 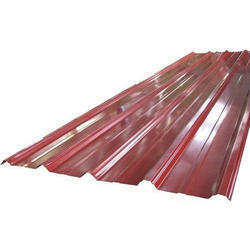 aptivating the requirements of the clients, we are offering a wide assortment of Steel Roofing Structure. 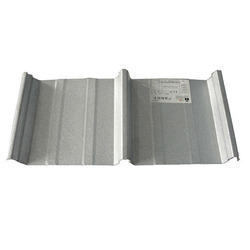 JMBS Standing Seam 2500 roofing profile having crest height of 63.5mm with two stiffening ribs at regular intervals in the valley with minimum cover width of 436mm available in any lengths. 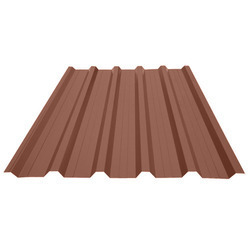 Our company has earned great laurels in the field of Wall Cladding Roofing Vasai. The size, number and installation all depend on different factors which include wind velocity, temperature differential, environment conditions, and the size of the building. These amazing products from our end have been vastly used for many years in residential, agriculture, industrial buildings and warehouses. 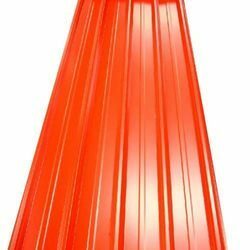 These are as per the set industry norms and guidelines and are made available to our customers at industry leading rates. • Color Available: Blue, Green, Red etc. 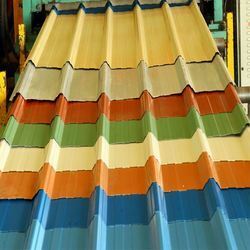 We are offering our clients a wide range of Clip Lock Roofing that is fabricated using galvalume- bare and color coated and PPGI. 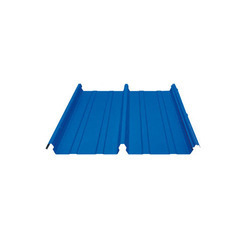 Suitable for fixing on roof purlins or wall claddings for assuring puncture free roof in buildings, this roofing has a concealed fastening. 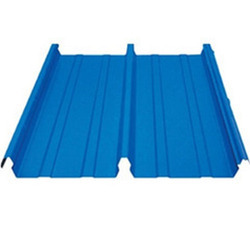 This roofing is offered with specially designed clips that can hold the roofing panels strongly. These clips should be used along with the lap placed on the high side of the clip for expansion purposes. Looking for Profile Sheets ?